Let us introduce you to the joy of hardwood shelving. Since 1993, Cope Closet Concepts, Inc. has manufactured fine hand-crafted hardwood shelving and accessories. We work with dealers across the United States to provide a complete organizing system with beautiful hand-crafted hardwood shelving. For dealers, strong durable hardwood and user friendly hardware make professional installations go smoothly. We offer a proven track record with superior quality and exceptional customer service. Closet Shelving and component parts are made from 100% solid, domestic Ash hardwood – the same wood used to make baseball bats! Cope Closet Concepts offers a complete closet shelving system that features the finest ventilated hardwood shelving available. Enhance your ventilated hardwood shelving with all wood closet organizers. Our large catalog of closet organizers, in eleven gorgeous finishes, allows you to create a closet design that will be best for your unique situation. Complete shelving system featuring three shelving options. Combines function with style, beauty & durability. Slatted design allows air flow and light penetration, ideal characteristics for storage solutions. 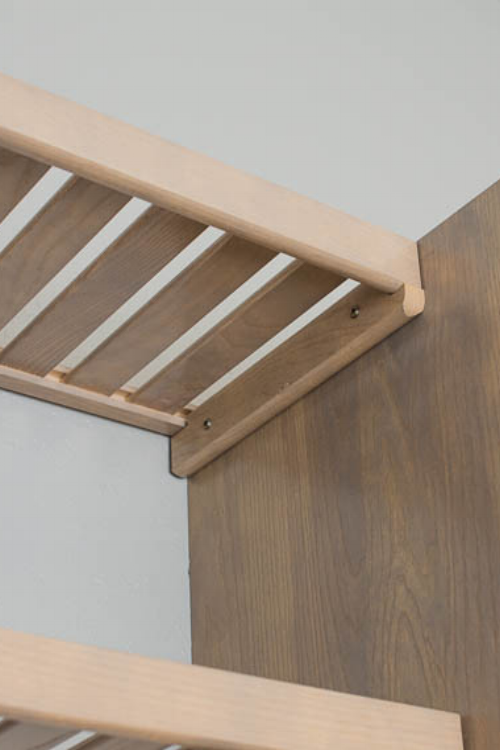 Our ventilated shelving is hand-crafted from 100% American grown Ash hardwood lumber. Ash wood is among the strongest hardwoods available which means your shelving is built for lifetime use. Available in 9”, 12”, 14”, & 16” depth shelves. All the same features as our standard ventilated shelving, but with extra wide slats to provide increased surface area without compromising ventilated design feature. Solid shelving is made with same 100% solid hardwood front and back molding, but slats are replaced with Ash plywood to create a solid surface area. Solid shelving is popular in specialty applications, bookshelves, and pantries. 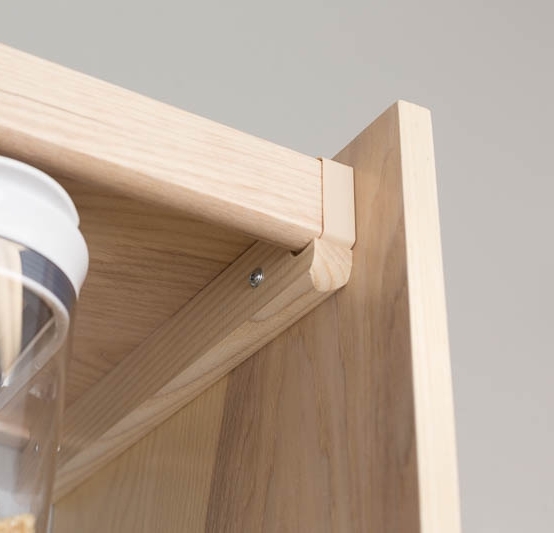 A perfect enhancement to our ventilated hardwood shelving. Expand your storage options with our premium, all-wood closet organizers. This flexible product line allows you to choose multiple storage options, drawer configurations, and more - your own personal closet design layout. Each of our lovely organizer units has several options, giving you more ability to make your closet one-of-a-kind. Three drawer front styles, 4 different drawer configurations, hamper unit option, door option – there is a perfect combination of style and function for you.